"I walk through these cities, camera in hand, capturing multi-facetted views that I then combine, one by one, in accordance with my memories, arranging them into a map that portrays all the singular aspects of the place." 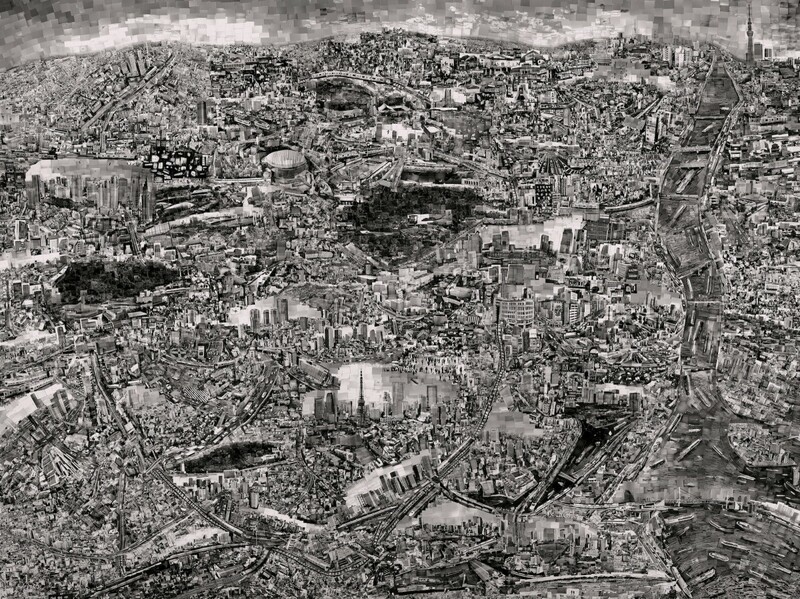 Sohei Nishino combines photography, collage, cartography and psychogeography to create large prints of urban landscapes. 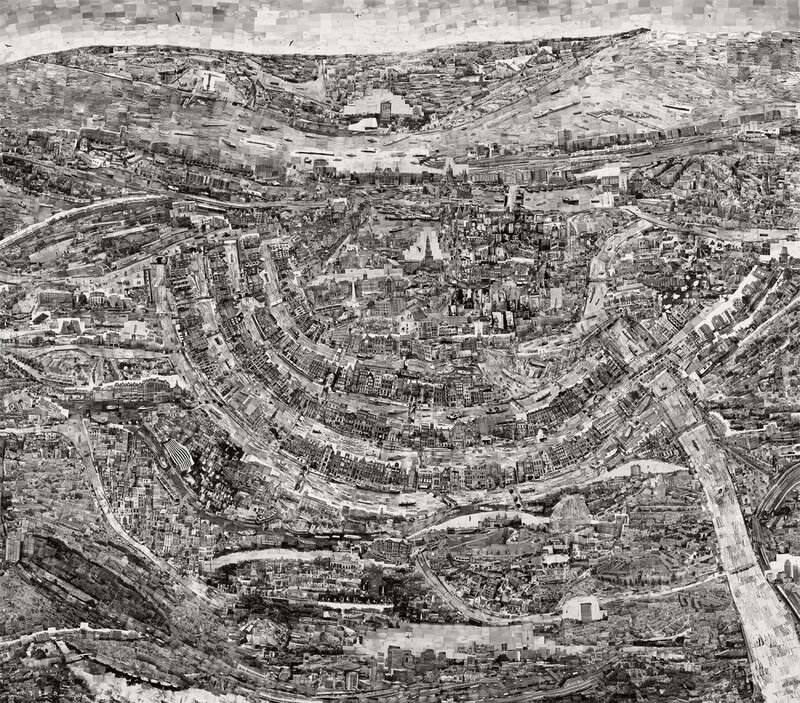 Drawing inspiration from the 18th century Japanese mapmaker, Ino Tadataka, his prints re-imagine the cities he has visited. 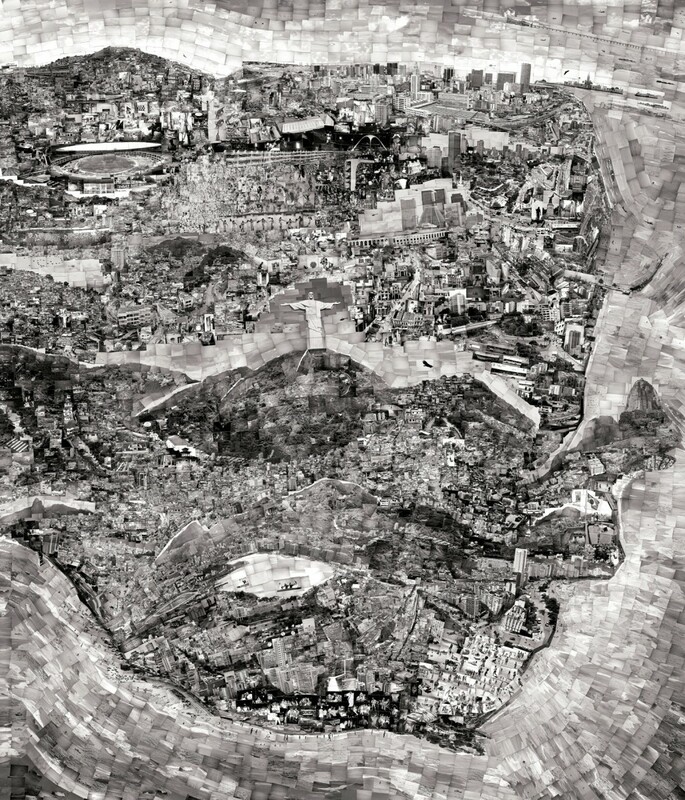 To build his Diorama Maps, Nishino walks a city's streets for an average of three months, exploring many vantage points and gathers hundreds of rolls of exposed film. He then painstakingly prints the photographs by hand and compiles them to form the tableaux he will use as the basis for his limited edition prints. The overall effect is not a traditional bird's-eye view but an enlightened way of seeing three dimensions in one plane. Although geographical accuracy is important in this process, scales are altered and locations occasionally repeated mimicking our own fluid memories of place and time. 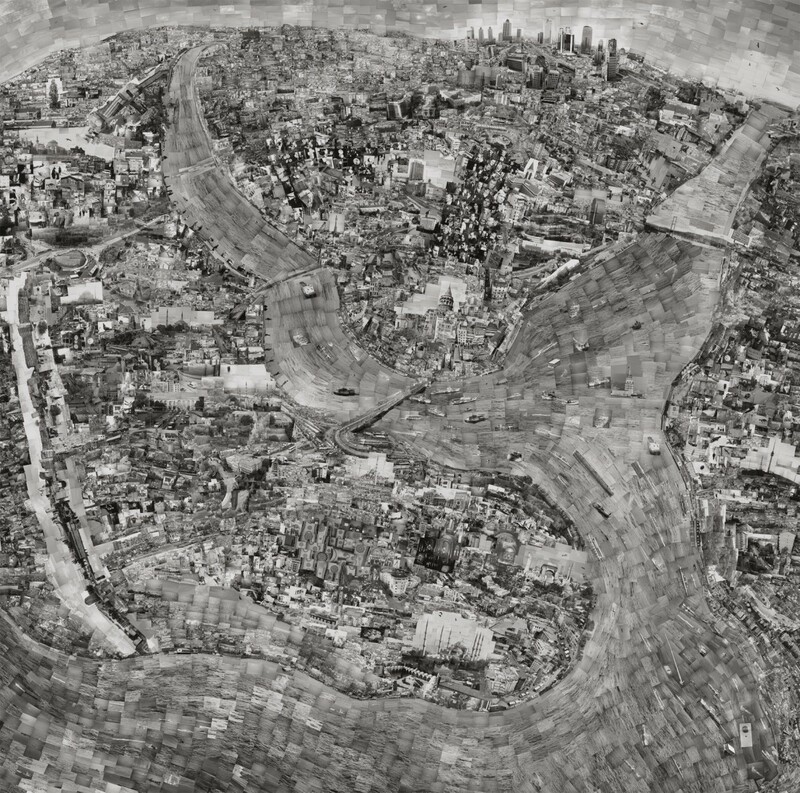 From a distance the maps are almost abstract, it is not until we examine them in detail that the full diorama unfolds - the theatre of one man's city played out in miniature. 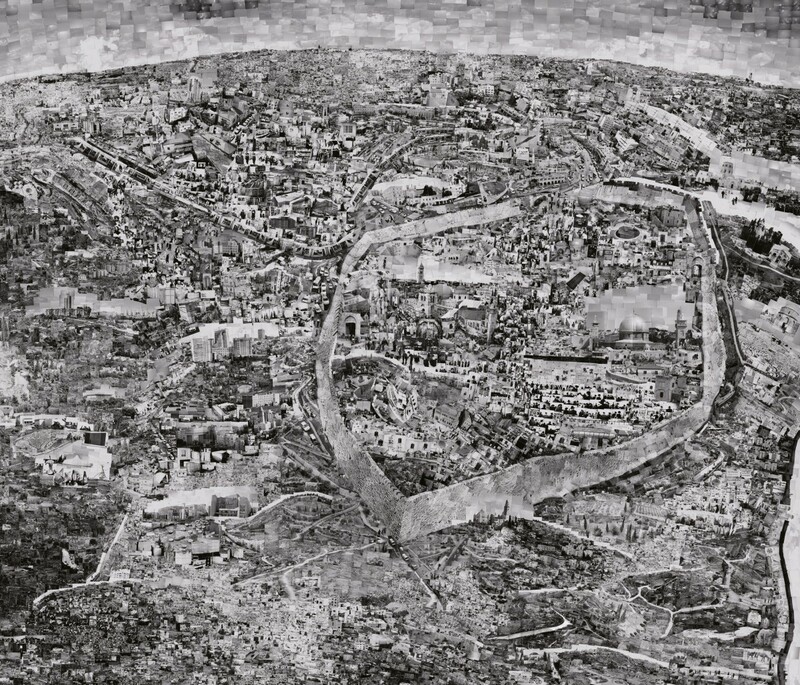 Nishino's more recent maps reflect the evolution of his skills and talent, whilst retaining the detail and playfulness of his earlier Dioramas. Within the parameters that the artist has defined for himself, he continually experiments. For example in recent maps he inserts colour within the carnival scene in Bern, or the many faces of his friends in New Delhi - thus evoking the vibrancy of the cities he depicts. "Rapid cultural and economic development creates a continuous process of amplification and accumulation within cities. I walk through these cities, camera in hand, capturing multi-facetted views that I then combine, one by one, in accordance with my memories, arranging them into a map that portrays all the singular aspects of the place. 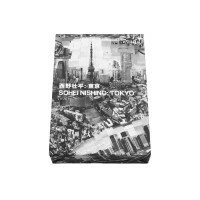 The result is quite different from the denotative expression of a map; it uses photographs (single 35mm frames) of concrete objects or shapes as units to recreate a geographical representation, expressing the city through human memories and images. 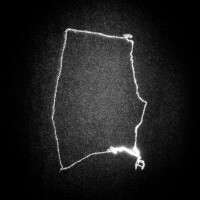 This means that the finished work is anything but an accurate map, it is simply the town as seen through the eyes of a single individual, a trace of the way in which I walked through it, an embodiment of my awareness, a microcosm of the life and energy that comprise the city."